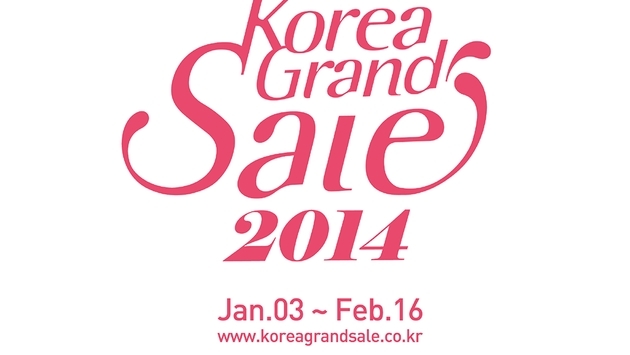 The Korea Grand Sale 2014 is underway and will continue through Feb. 16. This year, the annual shopping promotion will feature a variety of events staged by 118 businesses and 27,291 stores. The 45-day sale takes place in cities throughout South Korea including Seoul, Busan, Gwangju, Ulsan, Gyeonggi, Gangwon, Chungnam, Jeonbuk, Jeonnam, Gyeongbuk and Jeju. Hosted by the Visit Korea Committee; sponsored by the Ministry of Culture, Sports and Tourism and partnered by MasterCard, the Korea Grand Sale 2014 features deals and discounts from 10 to 50 percent to foreign tourists in department stores, duty free shops, outlets, hotels, supermarkets, convenience stores and performing centers as well as recommended shops by local governments and 17 traditional local markets throughout the country. The festival promises to be an opportunity for foreign tourists to not only shop but also experience aspects of Korean culture like Korean fashion and traditional food. In addition, during the Korea Grand Sale period, a "One-More-Night Promotion" will be offered by 23 five-star hotels nationwide. The promotion is good for one free night for foreigners staying for more than two to four nights, and some hotels are also offering restaurant discounts and free amenities. The website www.koreagrandsale.co.kr features information on special offers and deals as well as on different events. Until Jan. 12, an online event will be held in celebration of the grand opening of the website, where the winner will win the package prize of Korean Air first class tickets, a free stay at a Lotte Hotel Seoul suite, and a gift certificate of around KRW 1 million from Lotte Duty Free Shop for a top luxurious shopping tour to Korea. On top of this, free Wi-Fi exclusively for Korea Grand Sale will be provided during the sales period around Seoul’s Myeongdong shopping area.